You are transported back in time as you walk along Via dei Calzaiuoli, Florence, Italy’s main pedestrian street. It is a wide, cobblestoned walkway stretching several hundred yards from the historic, domed Florence Cathedral, or simply “Duomo,” to the famous Palazzo Vecchio. Historical figures like Michelangelo, Dante, and Leonardo da Vinci called this place home. And so does Alberto Paoletti, private investigator (PI). In Florence for my wife’s work assignment, continuing to attend graduate school, and operating my own private investigations business remotely, I looked up local private investigators online in hopes of connecting with one. There, I found Alberto. So I threw on my suit and tie, and after a 20-minute walk from my apartment, mustered up the courage to knock on his office door. The goal was to simply drop off my business card, but I got much more than I bargained for. Alberto invited me into his office, and we sat down and talked shop for almost an hour. He turned out to be an incredibly nice and accommodating man. ADAM: Let our readers get to you know you. Where are you from? ALBERTO: I was born and raised in Florence, Italy. I hope to die here someday as well (laughing)! ADAM: Where did you go to school? ALBERTO: I went to a very good technical school in Florence, Duca d’Aosta Institute, and studied business. I have also taken master classes in crime and business, each lasting 2-3 months. ADAM: How old are you? ALBERTO: Too old (smiling). I was born in 1945. ADAM: How long have you been a private investigator? ALBERTO: I’ve been a private investigator since 1969. I started my own company when I was 25 years old. ADAM: How did your career get started? (Alberto points to a portrait of a uniformed man on his office’s back wall.) My uncle was Carabinieri, or Italy’s military police. He was counter-espionage in World War II and received his military pension very young. Using that pension, he was able to start his own firm investigating commercial businesses for bank clients. 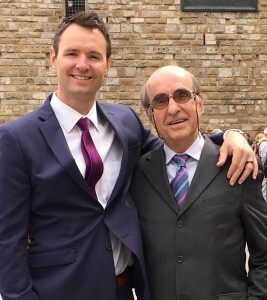 An economic boom in Italy helped my uncle’s business grow. In ten years, my uncle had enough business to buy three apartments! This was a very big deal, as all of my uncle’s work was word-of-mouth. There were no license requirements back then, and he had no office. I helped my uncle during summers when I was just 15 years old (laughing). I would do surveillance on a Vespa even back then (revving mock handlebars), following behind my uncle’s car on cases. But that was the start of my career. ADAM: I’m picturing you in a Fiat 500. Did you ever use one to do surveillance? ALBERTO: Oh, yes! I would [shade] people in a Fiat 500, then later an 800, and eventually a Fiat 1000! ADAM: What made you want to be a private investigator? ALBERTO: At first, I didn’t really want to be a private detective, nor did I think I would end up as one. After I graduated from school, I wanted to be an employee at a bank or in a public office. But I found out quickly that I hated my bank job and the idea of being an employee. So I traveled to Germany at 19 years old. I lived in Bonn for one year, learned about the import/export business, and took up the German language. After I came back to Florence, one day I was selling items in the street with my friends. And (snapping his fingers) the light bulb just went off, and I understood that doing private investigations was ideal for me. I could be independent, I could be free, and I could create something. I was willing to work at any hour – not just 10-6, as most Italians do. So, I worked for two years as an employee at another firm to gain experience. 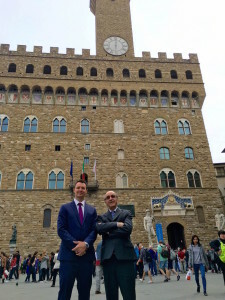 Once I finished my two years, I asked for the company license, received it, and in one month I was able to open an office in the center of Florence. This was during another economic boom in Italy. I understood that doing private investigations was ideal for me. I could be independent, I could be free, and I could create something. ADAM: How did learning German and English help you as an investigator and business owner? ALBERTO: Speaking many languages helps to build relationships. We work so often with other countries in the European Union, not just with Germans. It is important to have many connections, and speaking their language helps support that. ADAM: Who was your first client? ALBERTO: My first client was Mercantile Bank, which went out of business a while ago. I did commercial inquiries for them. After one month, I had my first employee, a secretary. Her salary was about €30 (approximately $34 U.S. dollars) per month back then! I then bought my first typewriter and telephone, which are still collecting dust in my office today. I learned how to type on an old Olivetti typewriter. ADAM: Where was your first office located? ALBERTO: My first office was just north of the Duomo, and my second office is here on Via dei Calzaiuoli. It’s amazing to think I’ve walked past the Duomo every morning on the way to work for the last 50 years! ADAM: What does your typical day look like? ALBERTO: I am now more of a broker of investigations. I have employees who do the dirty work for me, and I am the … table worker? ADAM: How many employees do you have? ALBERTO: I have about 12 employees who do commercial work for me. For investigations, I have two full-time investigators, 2-3 part-time employees, and one or two interns. ADAM: What was your favorite case? ALBERTO: There are so many. We are currently investigating a tragic criminal case where a little boy fell and died. We have to determine whether or not the fall was intentional or accidental. It was very sad. Solving this case is not my favorite, but helping the family will bring us great fulfillment. I was confused, but later that day the man showed up at my office. I sat down with him and asked what he wanted. He asked, “Can you follow my wife? I think she is cheating on me (laughing).” Naturally, I could not help this man and told him so. We also had an international case. Our client was a very rich and important man. He was the CEO of a public company, and he had given some shares of his company and a personal company bank account to his wife. Therefore, she was now a shareholder and an employee of the company. However, the man found out that his wife had fallen in love with another person, the owner of a club in the Maldives, and had run off with this new man. The client wanted us to fly to the Maldives and photograph his wife with the club-owner. I could not go, so I sent a rookie detective there to film them. The detective stayed on the islands for over a week and took many photos of the wife and the new man. With the evidence, we were able to stop the money and shares of the company from going to the wife. But my investigator believed that working in paradise was normal (laughing)! He thought the job was like this everyday! ADAM: What is your favorite aspect of the work? ALBERTO: The human relationship with the client. I must be a psychologist, and not just an investigator. Also, if I’m able to solve the case, I have a rush of satisfaction. There are many negatives of this line of work, but one of the best parts is that I get to work for those who have been scammed, the victims of injustice. We are different than [defense] lawyers in that way; we don’t defend the bad or criminals. We work for the victims. As a result, I feel I have a moral success. ADAM: What is the least favorite part of your job? ALBERTO: Stress from clients who call every moment on the phone and want to know what’s going on. They want always updates! So, we tell our clients not to call us, we will call them. Also, it is tough to separate emotion and anxiety from a case. We are passionate about solving the case, but we must remain strong. So, I don’t get too close to the case. ADAM: What is your most common type of case? What type of work do you specialize in? ALBERTO: We track down people who haven’t paid their bills. We do insurance fraud cases. We do copyright infringement cases, where people illegally make designer brands such as Prada, Gucci, and Dolce & Gabbana. We also do matrimonial (infidelity) cases. Our clients are mostly husbands looking to stop alimony payments or providing housing to their ex-wives. We also do child custody and divorce cases. ADAM: What part of your career are you most proud of? ALBERTO: When I was young, I was very timid. This job has helped me to open up, allowing my personality to grow. I also understand now the negative and positive characteristics of people and the way people live their lives. When I was young, I was very timid. This job has helped me to open up, allowing my personality to grow. I am proud of the positions and appointments I have held in my private detective associations. Holding these positions has increased my love of my career, increased my knowledge and technical expertise. I really enjoy the relationships I have had with other members. It gives me self-worth. ADAM: When you are thinking about investigating someone, what is the first thing that you should do? 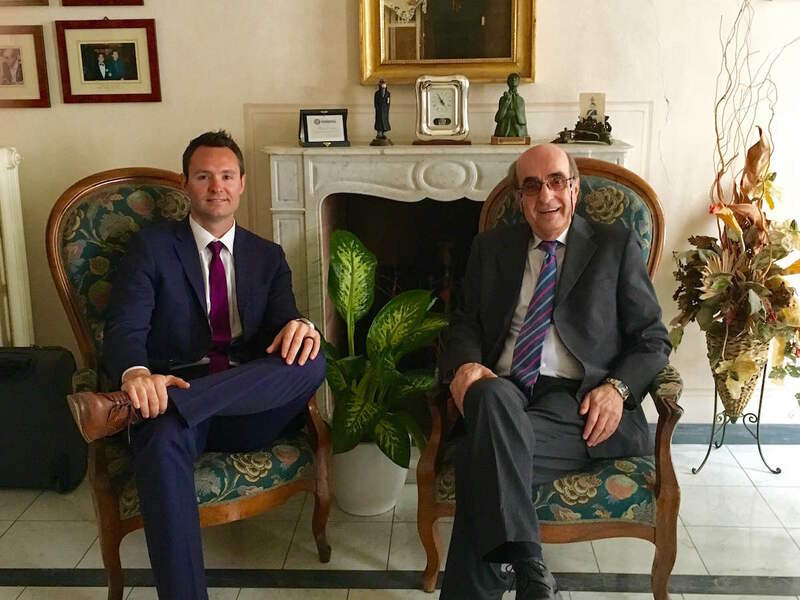 ALBERTO: Speak with the client for a very long time. The client is the most important source of information. Recently, I spoke with a client for two hours. My job was to be empathetic towards my client’s problem. His problem must be ours, but only in a small way, not too much. ADAM: Is there anything you should not do before an investigation? ALBERTO: Check for the crazy ones. If I find out that the person I am talking to is crazy, I tell them to go to the police instead. Two others: Watch out for clients that think the law is against them, and watch out for clients that ask you to do illegal things. I get asked to do illegal things all the time, but I could lose my license, so I refuse. 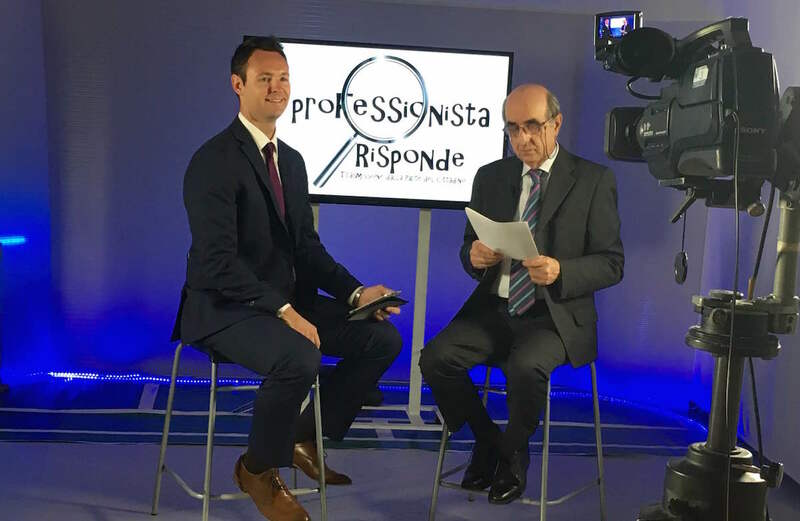 ADAM: How do you get an investigator’s license in Italy? ALBERTO: Before 2010, every city had a representative from the Minister of Interior. This representative could give out licenses based upon his discretion. Quite unfair. But after 2010, it all changed. FEDERPOL is Italy’s largest private investigator’s association (of which Alberto was president). We implemented license requirements. First, applicants must have a three-year university degree in one of these areas: law, economics, crime, or journalism. Second, applicants must also have practiced investigations as an employee of a company for three years. Lastly, applicants must have a clean background check. No past criminal records. ADAM: What is legal and open to investigators in Italy? And what is not open? ALBERTO: In Italy, the data protection act is very strong. I am on the commission of FEDERPOL, the Italian Association of Private Detectives. Italy is the most regulated in all of Europe when it comes to privacy. You cannot access public information, like criminal records. Both the police and minister of the interior control what information private detectives can access. In order to get criminal records, you must request it from an attorney. Police and the minister of the interior do integrity checks on our cases; they come to our office and note the name of each of our cases and the invoice amount. After documenting our cases, they stamp each page in our book. Very rigorous. ADAM: Do you have a relationship with local police? Is it good or uneasy? ALBERTO: There is very little relationship with the police. It is very tough. We are in competition, but it is a legal issue. If we are working the same case, for example a criminal case, we are completely separated. There is no team. We must also develop leads without the help of police. Police detectives have this benefit, but we do not. They have connections with other police, but we don’t. However, we help during the counterfeiting cases. We do the dirty work, but they get the credit in the newspapers! ADAM: In what other countries can you do investigations? ALBERTO: Well, Adam, since you are now our United States connection, the U.S. (laughing)! We have used you to find U.S. criminal records for one of our clients here in Florence. We have done work in France, Germany, and at times a blend of many countries together. Due diligence cases takes our work to many different countries. ADAM: What books have you authored? ALBERTO: One book is called The Private Investigations Operational Guide, which came out three years ago. My editor wants an updated version because we sold several thousand copies, so we may come out with another edition this year. ADAM: What is the difference between actual Florence investigations and how investigations are portrayed in Hollywood? ALBERTO: The reality is that we have a double life, a schizophrenic life. The public knows what we do in film, but they don’t know the reality. They think we do illegal detective work, rather than simply gathering public information. My clients think I bug people, but that is pretty much a fictional part of the job. People think we only work infidelity cases or matrimonial cases. The clients only have this view. ADAM: One last question: I’m a huge movie fan. You told me that a movie was filmed here in Florence starring Tom Hanks. What movie was it and what was that like? ALBERTO: Oh yes! We did have Inferno film here last year, and I saw the film crews in the nearby piazzas (town squares). Many movies have been filmed here. Hannibal was filmed here about ten years ago. And many more. ADAM: I’ll be sure to watch them! Grazie mille for your time, Alberto. ALBERTO: Prego. Prego! Molto bene, Adam! It was wonderful for me as well. Alberto Paoletti is a private investigator and owner of Informark S.R.L, a private detective firm based in Florence, Italy. This interview took place at Informark’s office in Florence. Adam Visnic is a private investigator, graduate student, and owner of Gravitas Professional Services, LLC. Feel free to connect with him on LinkedIn.